I've killed many cockroaches in my life. But now I can say, virtually, that I've killed hundreds of them within 2 minutes. 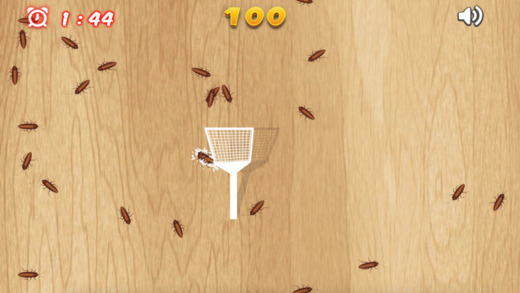 Just out of curiosity, I later searched the App Store for cockroach and found at least 2 dozen other puzzles dealing with manual extermination. Some have images of individual fingers squishing all sorts of Blattodea. Jelly Doods Puzzle by Ankit Kanjariya Free! Crosses Puzzles: Unlimited Domino Free! Spray Ball by Abel Galvan Clone! !